Perry and myself have been fortunate enough though our travels to come across a couple of “special places”. Where you find that feeling that this is where you are meant to be. 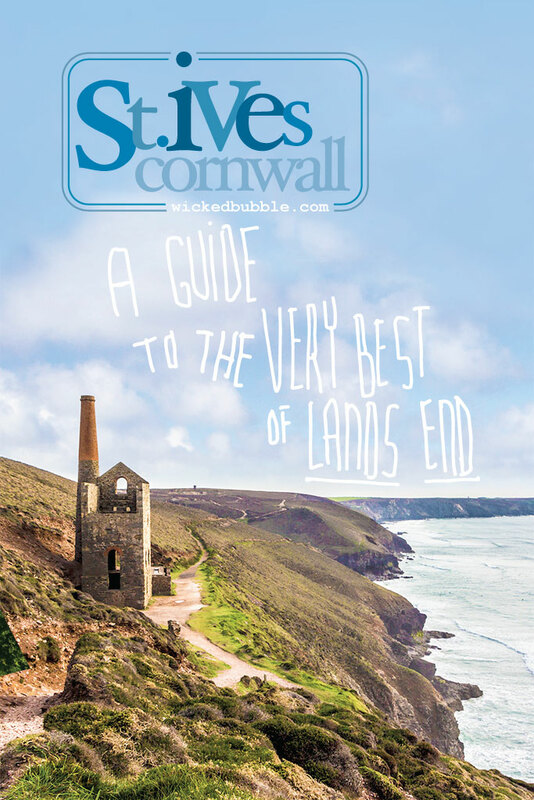 For us, St.Ives is one of those places. 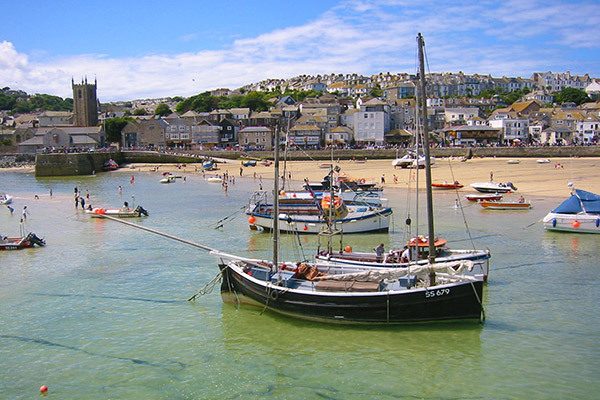 If you’re not familiar with it, St.Ives sits at the southern end of Cornwall in the U.K, near Penzance. 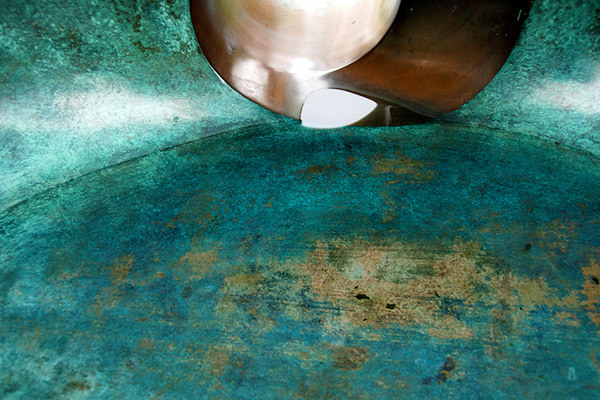 A small town with a fishing history spanning many centuries, and as much as the maritime heritage brings its own charm, that wasn’t the lure that snagged us (was that terrible?… yep, that was terrible). 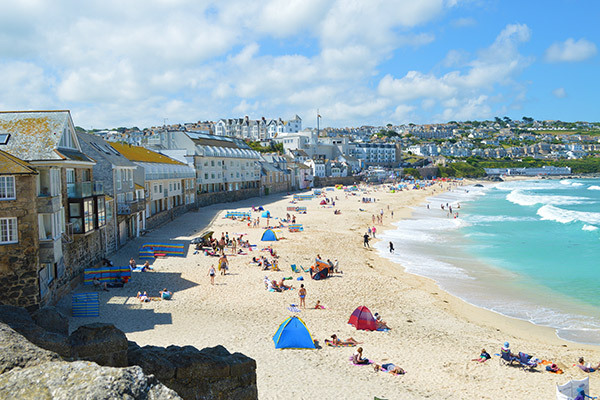 Having moved to London a couple of years earlier from Australia, we first discovered St.Ives during a few days break from the city. That few days changed everything. The drive is six or so hours south from London down the M4 then M5, the big motorways eventually morph into the A30, and further whittle down into a winding single lane until… it ends. 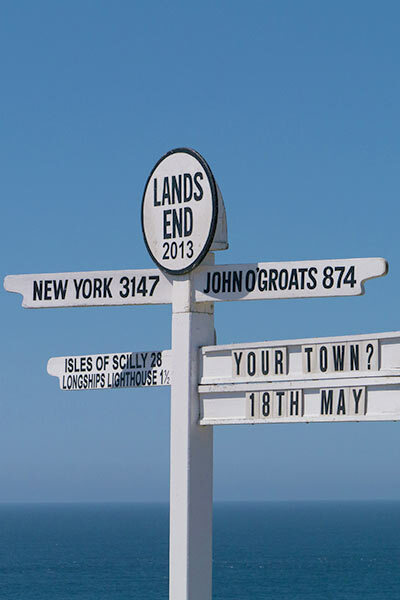 Left to Penzance. 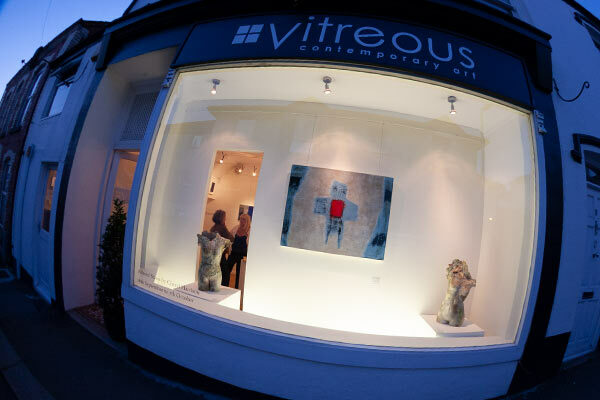 Right to St.Ives. Perry had read about St.Ives’ artistic heritage so he had a mild agenda, but for no other reason we turned right and began the short descent along the coast toward St.Ives. And there it was. That first glimpse that few forget, a postcard image, centuries of architecture crowding a wondrous harbour. I smiled then… and I still smile every time I think of it. 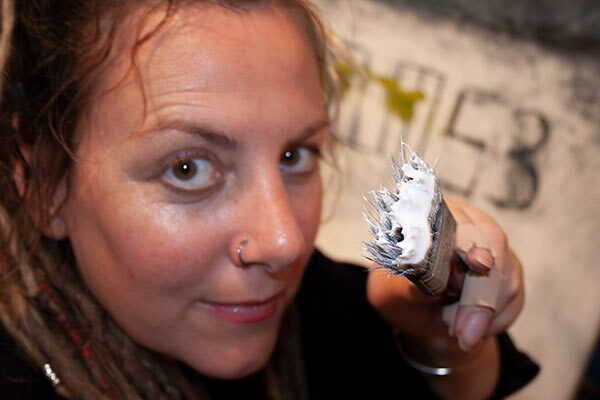 We quickly fell hook line and sinker (there I go again), and as a practicing visual artist, it wasn’t long before I had made several connections with local galleries and began exhibiting. Needless to say, all of our domestic travel had the needle pointing due south from that time on. 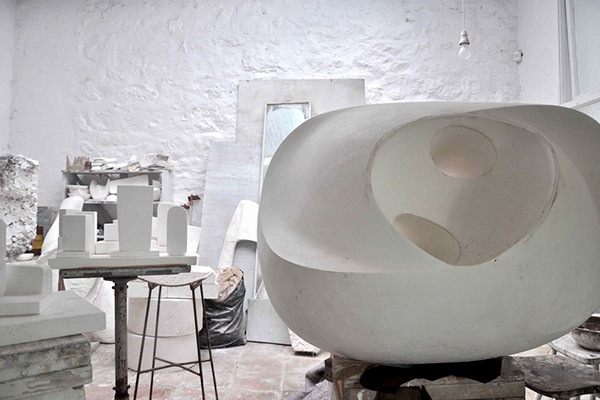 For me, the discovery of St.Ives’ incredibly rich artistic heritage was a journey in itself. 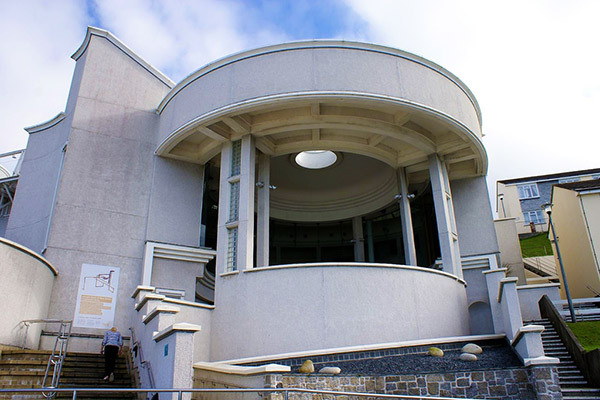 To have the Tate St.Ives Gallery (a part of the wonderful Tate Galleries in London and Liverpool) in this small community gives you a good sense of the towns importance in British art history. It wasn’t long before we found ourselves placing an offer on an apartment and were picking up the keys from the local butcher (long story). I rarely returned to London after that, leaving Perry to commute back and forth (what a guy), l could immerse myself in my career as a abstract painter. 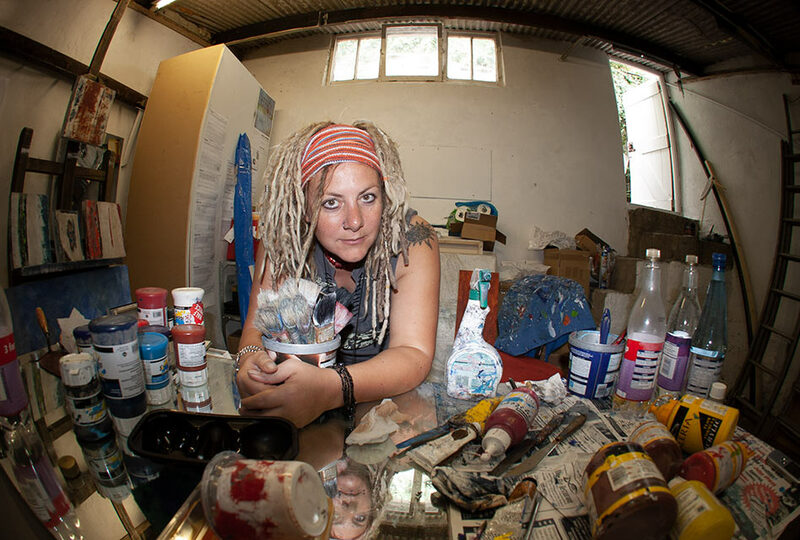 I set up my studio in a neighbours garage – buried in a laneway just behind Barbara Hepworth’s studio/gardens (now a museum linked with the Tate Gallery) – and I painted and began exhibiting. I talked art and walked art. I was living the dream. I would stop off at Barb’s Studio after a morning coffee with fellow artists. It was a terrific four years and if it wasn’t for that bloody weather and Rheumatoid Arthritis combination, it would’ve lasted a lot longer. 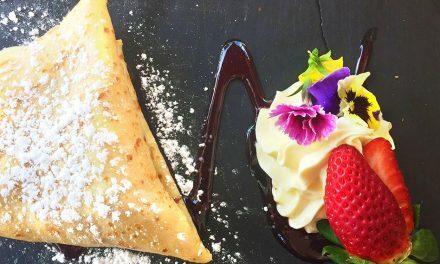 Beyond the art, the surrounding area has so much to offer and it almost seems unfair to distil it into a list of seven favourite areas and activities but before I get into that, the food does deserve a mention. 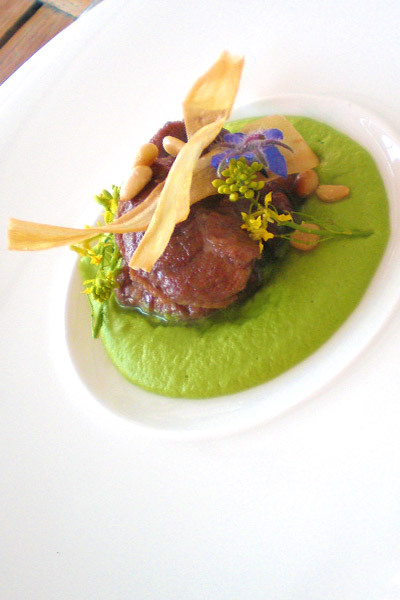 Cornwall is a well known haunt for the celebrity chef and while they are scattered all around the county, you don’t have to far to find a terrific meal. 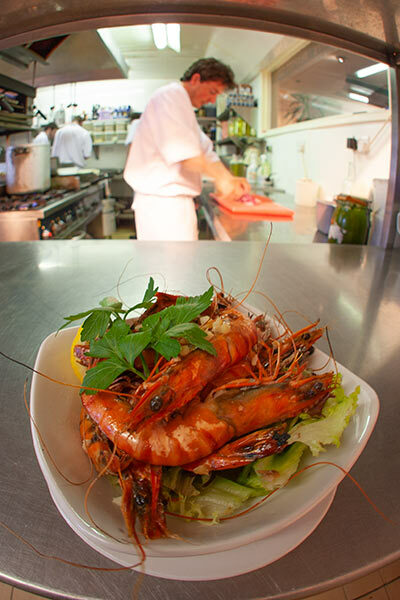 Seafood is the obvious choice and one of our St.Ives’ favs was the Seafood Cafe, still going strong and in a great position on Fore Street. 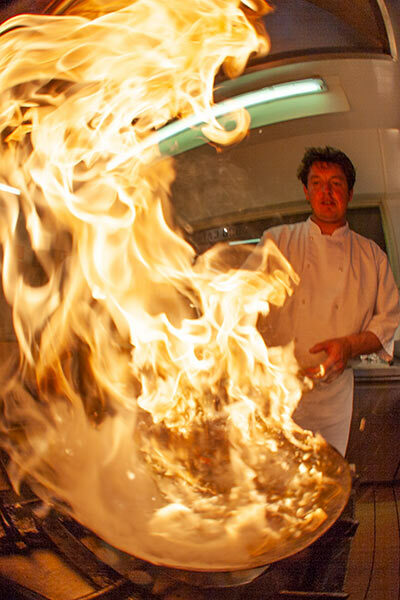 Seen above with the two images left of screen, our friend Barney – trying to burn the place down. If you’re looking for a decent coffee that’ll be a challenge – unless things have changed. 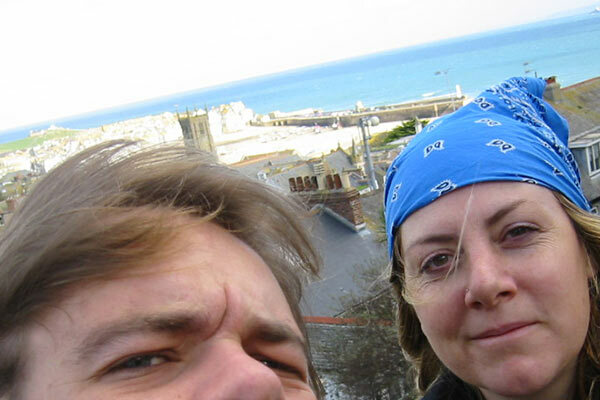 The best we found was the cafe on the roof of the Tate Gallery… the view is great too. Despite the quality caffeine challenge, St.Ives has evolved to cater for the… shall we say, more sophisticated palette. No complaints here. 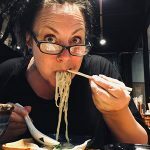 The idea for this post really came about when I was getting nostalgic for ol’ blighty and thinking about all the places we used to frequent and perhaps take for granted. So if you read on, I’ll let you in on some of our highlights of four years spent exploring St.Ives and this wonderful corner of the U.K..
We now live in Port Douglas, a town that is well known for its cuisine, certainly relative to its size, but since moving back to Australia we’ve really been in a kind of bland, ‘pasty wilderness’. The first thing we’ll be doing is heading straight for the Cornish Pasty Shop… well, I will be, Perry will be keeping the traffic warden busy because I won’t have the patience to be parking at the top of the hill. 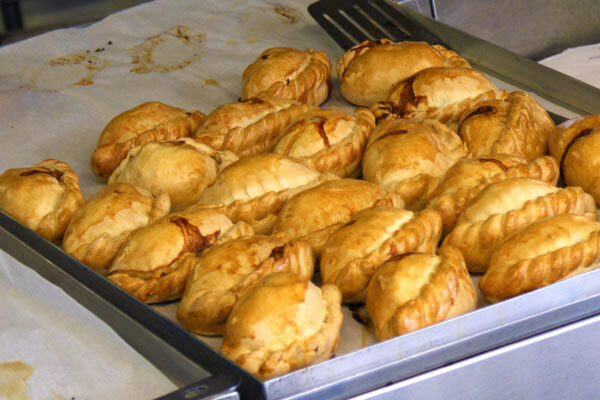 Oh my god they do a good pasty. 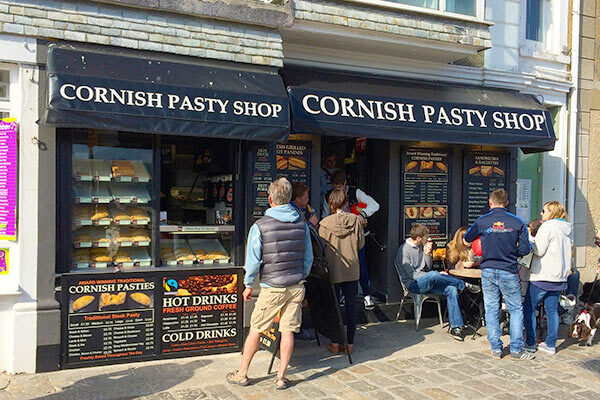 Sounds logical, a Cornish Pasty in Cornwall… but hey, from a pasty conasuir take it from me, a good pasty is hard to find even in this part of the world. WARNING!! This goes for ice creams as well. 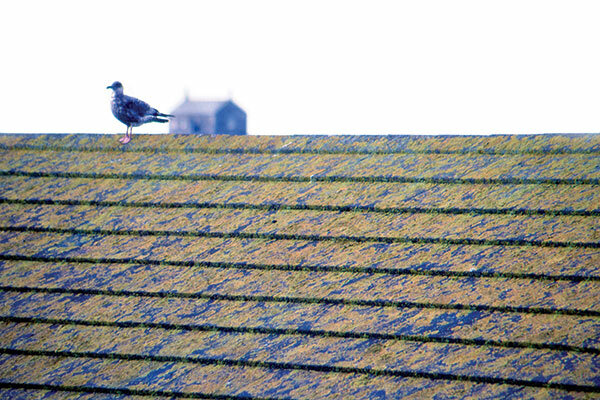 Seagulls will attempt to steal your pasty. When you see the size of these things you will understand.. They are huge… they are the devil. I’ve just had a thought. The second thing I want to do is find a cafe with a view and be entertained by everyone else having there food stolen by seagulls 😈. 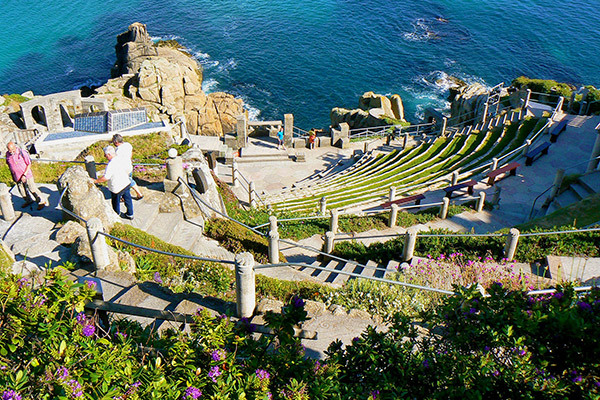 I’m trying to save my…”this place is special” for the Minack Theatre, but so is this. 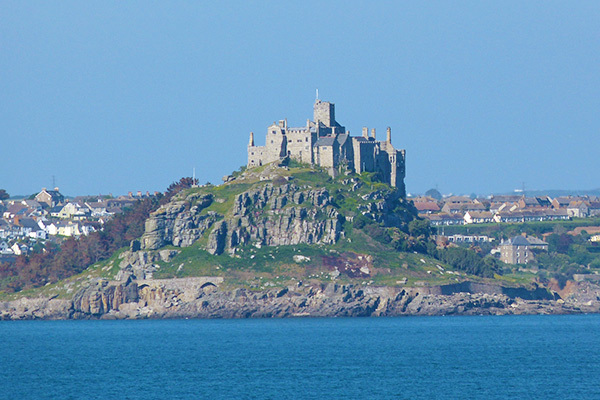 We learnt to Kitesurf under the enormously disruptive wind shadow of St.Michaels Mount. 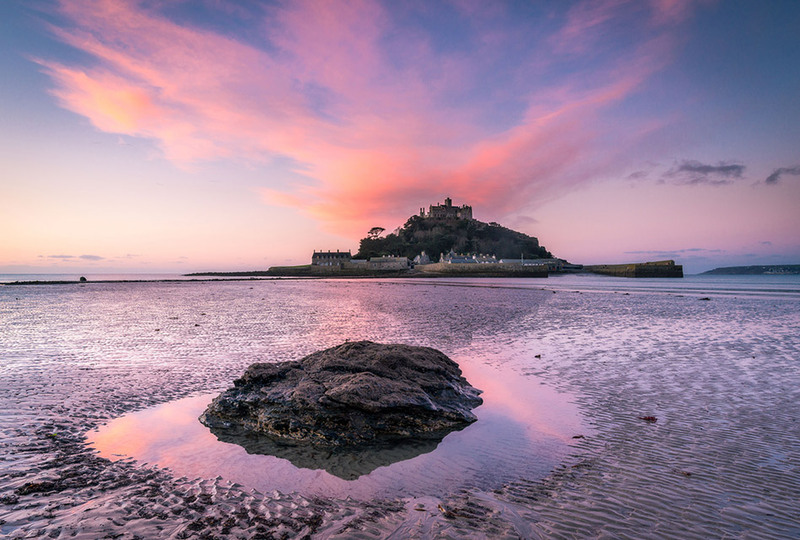 We’ve spend countless weekends drinking coffee at Marazion (the town on the mainland opposite) and suiting up on the beach below. It was surreal to look over your shoulder as you sailed across the surf to see this wicked, wicked sight, really quite a privilege. It’s actually owned by a family and is still occupied by them but it is open year round for visitors. Relatively speaking, the interior is not particularly impressive but everything else is. You can walk across at low tide, which you can check here, a boat covers high tides… mid tides is problematic when the boat can’t make it, although they do employ an army duck when it wants to start. It is run by the National Trust, we had membership when we lived in the U.K. which allows free entry to over 500 properties around the country (800 worldwide including 180 in Australia) – £114 Per Couple per year – £69 Adult. A truly special experience. I’ve shown pix of it during the day so that you can get a real sense of what this place is. 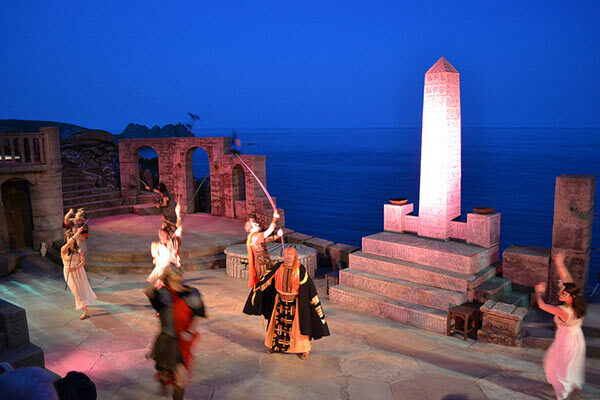 We saw Jane Eyre here, although I think I spent more time admiring the back-drop than the show… it is breathtaking. Incredibly it was created by a little old lady, well… I’m not sure if she was little, actually… I’m guessing she was old when she passed, perhaps not old when she created it. Anyways, Rowena Cade offered her property to a local theatre group. 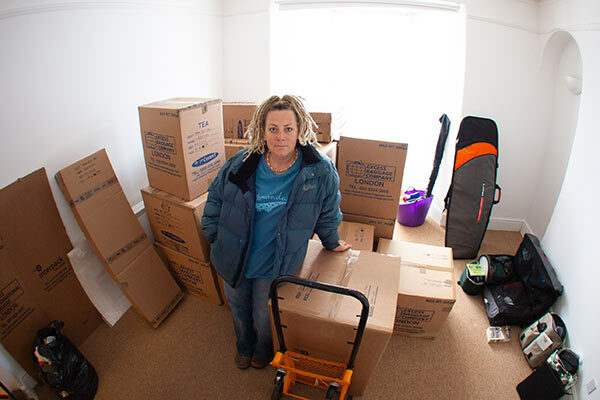 She purchased the land for £100 with her mother after the First World War and it has since gone on to play host to 80,000 people a year. 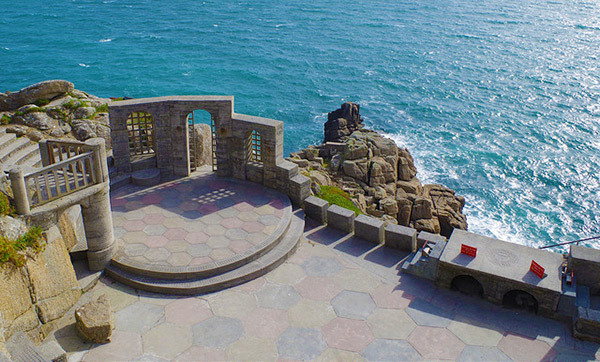 The theatre is at Porthcurno, 4 miles from Land’s End, which you could include in a day trip on the way, so don’t forget to book your tickets way in advance if you want to see a show. 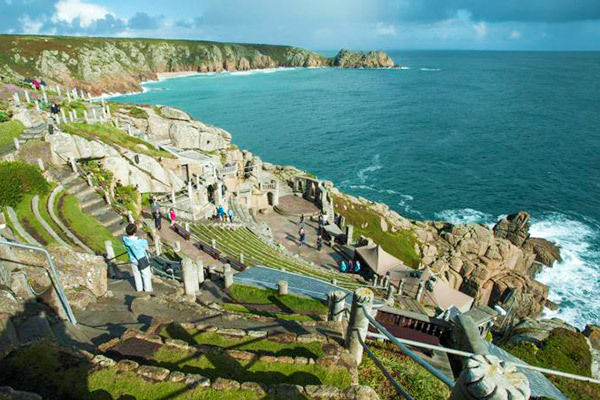 The season runs each year from May to September and if you can’t get tickets to a show you can simply visit the grounds, which is well worth it – grab a bite at the cafe with the insane view. £5 an adult for general admission, there are also matinees but all performances are very popular so check out this schedule to book ahead. We were never all that taken by the facility itself but the coastline around here is something else, and it is the end of the land… but for us it’s really about those ocean views and 200 foot high granite cliffs. I hear they now have a 4D cinema showing “Return to the Lost World”, 4D meaning they wiggle your seat and squirt water during an animated feature… could be fun, check the times here. There’s also Greeb Farm, a 200 year old Cornish Farm full of the fluffy animals and several restaurants, cafes and an ice cream parlour. There are separate charges for each facility. 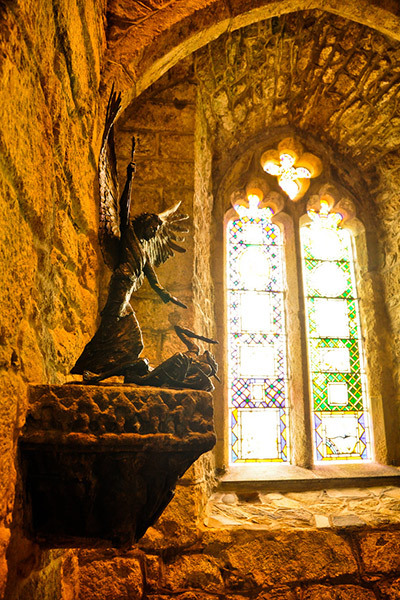 Open daily from 10:00am – 4:00pm until the last Friday in October. The Cornish coast is about as dramatic as the U.K. gets. Rolling fields give way to sheer drops down to angry seas. 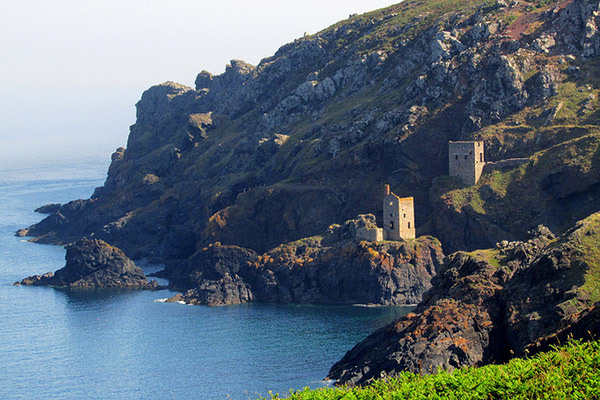 Most days we would drive across the back lanes to Penzance and pass the old tin mines standing alone and deserted in the fields, some of the very best examples of these 19th century relics are perched along the coastal paths in the most unlikely and impossible positions on the craggy cliff sides. 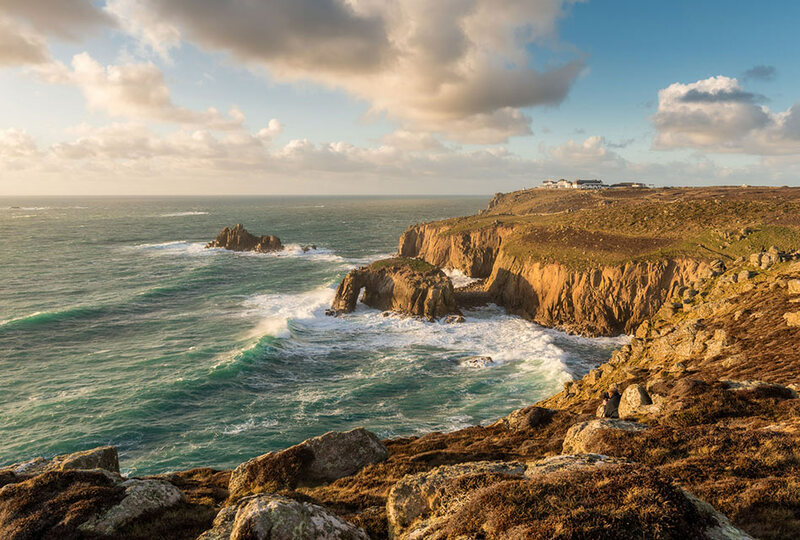 You can actually walk coastal paths around the entire coast of the U.K., but Cornwall is well regarded as a particularly stunning stretch. 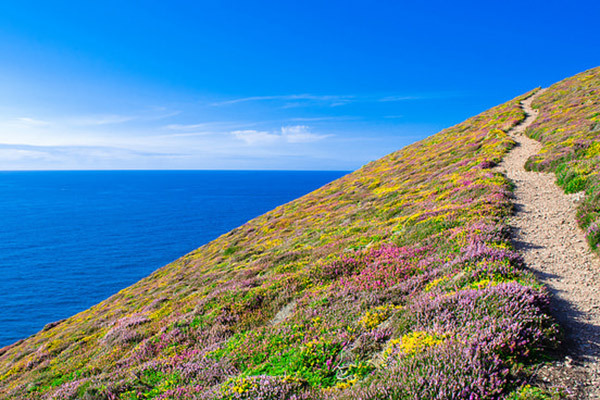 As a taster you could head 25 miles up the road from St.Ives to the St.Agnes beacon walk. 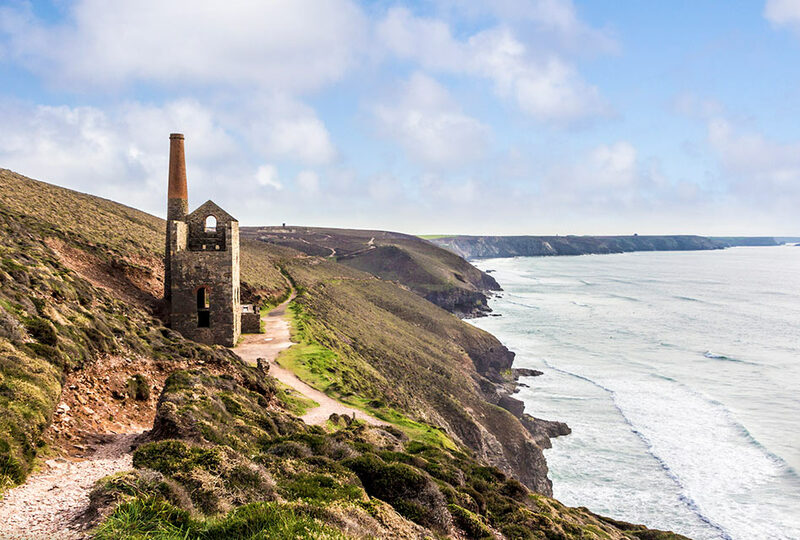 It will take you on an easy 3 mile/5 km loop along the coast and past the Wheal Coates tin mine (above), another National Trust property. 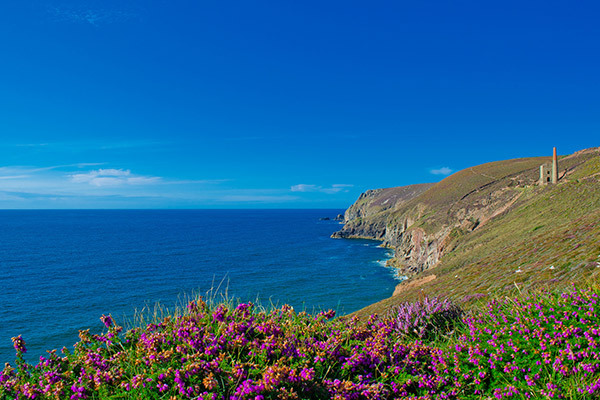 Try this wicked site if you want to explore coastal walks further. This makes for a lovely day out. 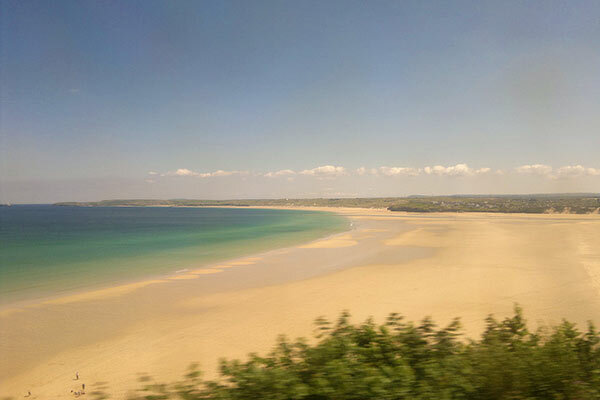 The ride over to Penzance, especially across St.Ives Bay just before St.Ives itself is stunning. 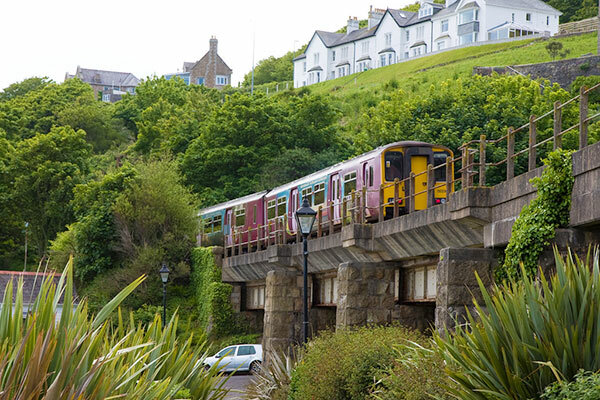 For around £4 one way, you can catch a 30/40 minute ride over to the market town of Penzance. There’s 24 that run daily – check here for times – just make sure yours will stop where you want in case you have detour plans… there’s an express… which’ll shave a whole 10 minutes off your journey! 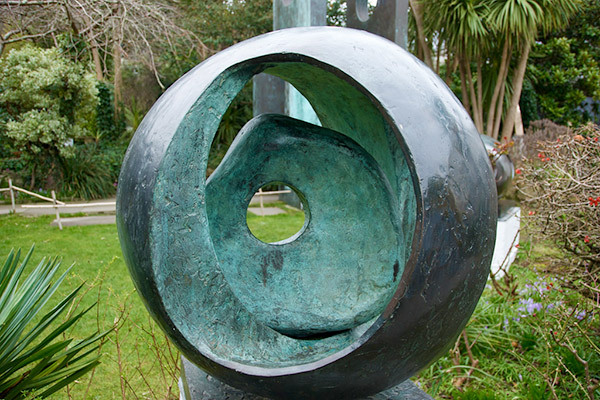 The hole. Sounds endearing huh. 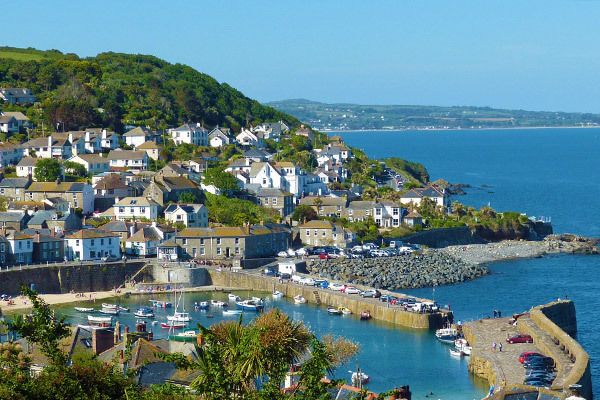 Well quaint seaside villages are a dime a dozen in the UK, Cornwall has more than it’s fair share, but Mousehole or Mousal as it’s usually pronounced, is as quaint as they come. It’s tucked away behind Penzances’ fishing port, so you’d be forgiven for thinking you were lost as you drive through the heavy industry and crumbling warehouses. 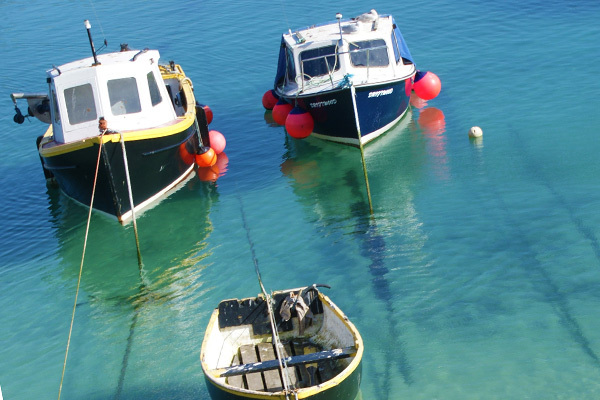 That’s actually what makes Mousehole such a lovely surprise. 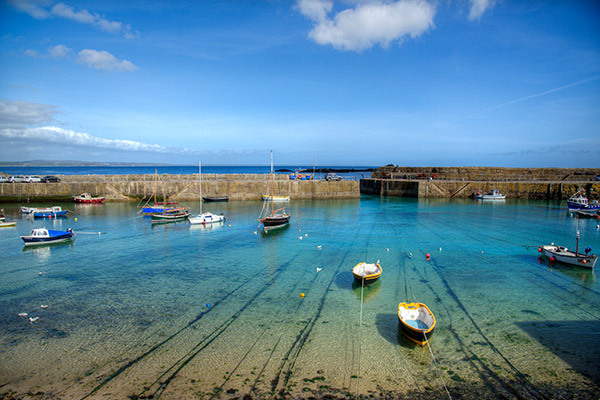 I’ve included Mousehole for its proximity to St.Ives, being just a 20 minute drive across the Lands End Peninsula, through Penzance. Penzance itself is a utilitarian town, good for shopping and the weekend market but not particularly pretty, but Mousehole is lovely. 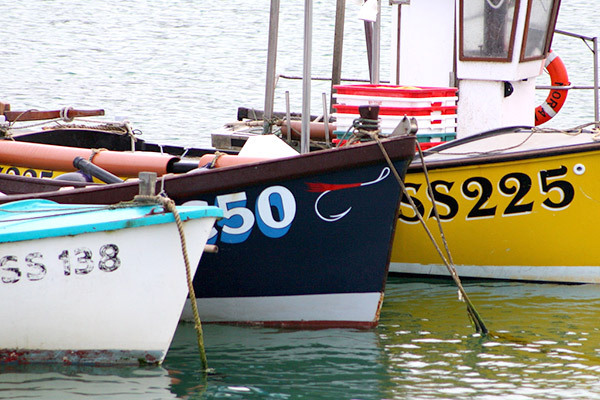 Allow an hour or two to wander the harbour and grab a high tea. We use Airbnb whenever the opportunity pops up. 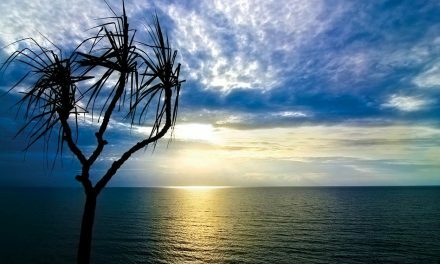 We run our own place in Port Douglas so know the system pretty well and for us it’s the most user-friendly of the private holiday rental apps. If you are planning to stay for longer than 2 nights, click here to set up an Airbnb account, you’ll get way more bang for your buck. 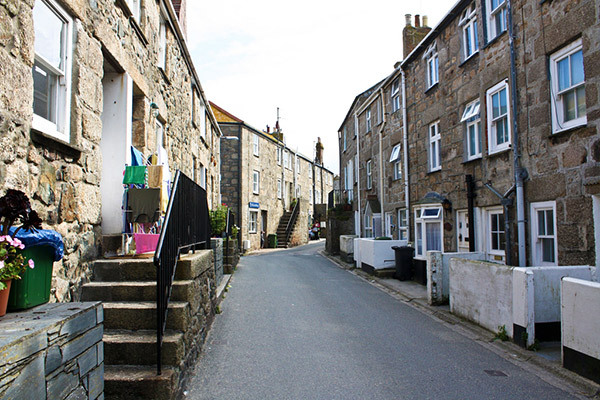 Ironically our old apartment in St.Ives is now listed on Airbnb… the reviews are not good so what’s the lesson?…read the reviews! There are quite few traditional Bed & Breakfast places, we have stayed in four of them over the years and to be fair they will have changed alot since then… hopefully for the better because they weren’t good. Many of them will be listed on Airbnb anyway. We liked the ones closer to the train station, along the Warren. This is a bit of a nightmare. 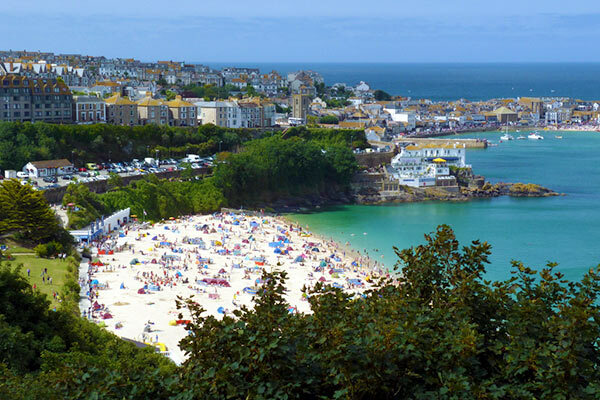 I would avoid the Island Car Park, sounds lovely driving the narrow streets of St.Ives but it is problematic when the crowds move in, you’ll take a wrong turn and curse yourself. 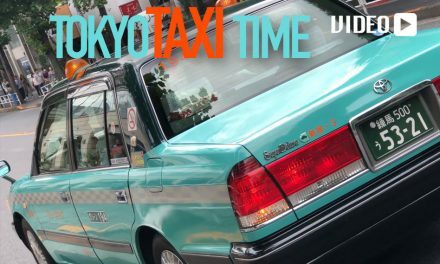 Best to try the Train Station carpark or better still, head up behind the Tate Museum to the towns largest carpark by the cemetery. There are carparks further out of town that will provide shuttles and a few that are tucked away in town but it’s a game of chance getting a spot. You will get a ticket if you park illegally or your ticket runs out, Perry got a ticket at 1am as he unloaded our car… welcome to St.Ives! If you really want to explore the U.K. you’ll need a car. 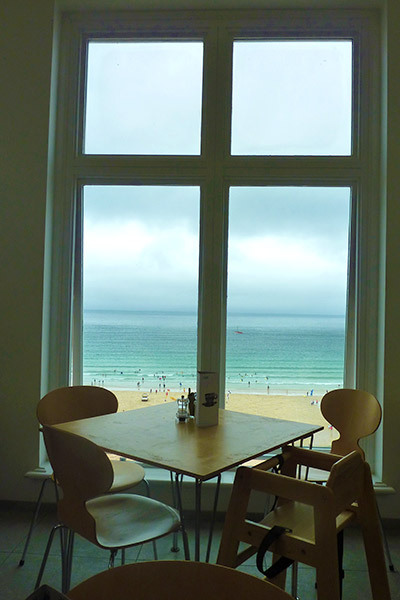 It’s a six hour drive from London to St.Ives. Pretty straight forward from Heathrow as you can just jump on the M4 motorway and head for Bristol. Trust me, if you plan on a detour you will not make it in a day, U.K. roads have way of distorting your itinerary. Perry used to catch the overnight from Paddington Station in north London quite a lot. 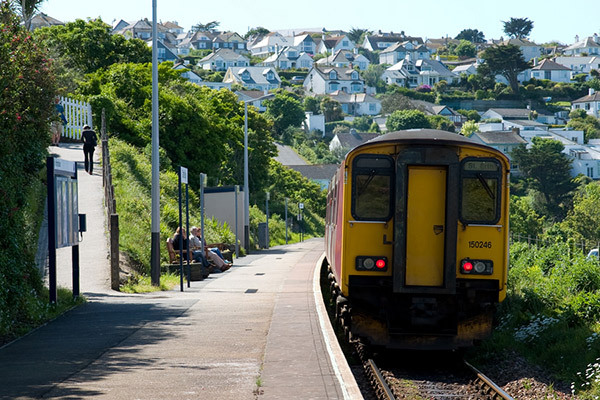 An overnight train will be cheapest (and longest) @ £115 return per Adult. It leaves Paddington at around midnight and takes 8 hours to Penzance (5 hours for the quickest). 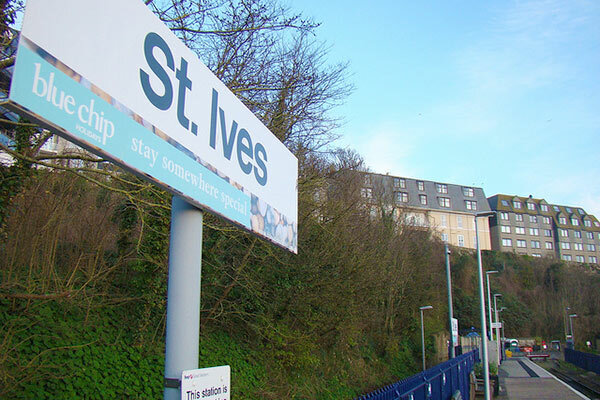 After changing at St.Erth you’ll be treated to one of the more spectacular 30 minute train rides across St.Ives Bay to St.Ives. Check here for times. 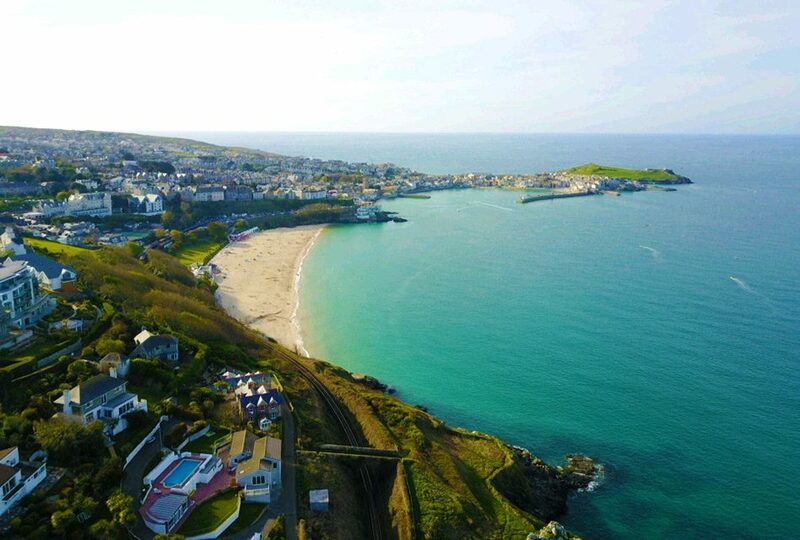 You could fly down to Newquay from London. Ryan Air fly from Stansted, we’ve done it once but it’s hardly worth the effort. By the time you get out to Stansted then on and off the plane you wouldn’t be further ahead than if you drove. Whilst many of the images are our own we did get some help from the following talented individuals, we like to give credit when it’s due! 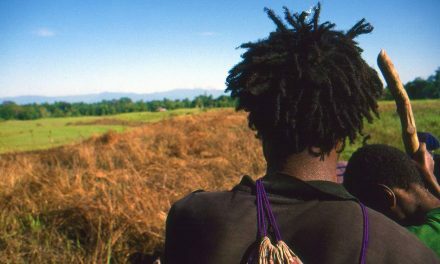 If you click their links you will see some fantastic portfolios of passionate travellers and photographers. All images were obtained under the Creative Commons Licensing Agreements, we may have lifted some levels, colours or cropped where required. You are free to use these images under the same Creative Commons Agreement.